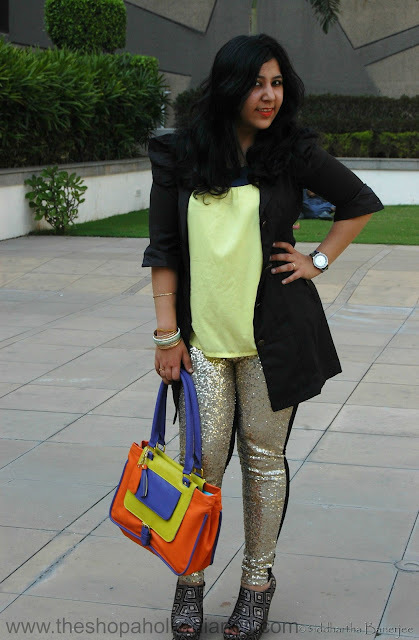 OOTD - Sequin Pants and Everything Else ! | The Shopaholic Diaries - Indian Fashion, Shopping and Lifestyle Blog ! A girl next door's blog on her love for Fashion, Shopping, Lifestyle and everything stylish. OOTD - Sequin Pants and Everything Else ! Hope you are all doing great.. Wills India Lifestyle Fashion Week Autumn Winter'13 started today at Pragati Maidan, New Delhi! But you can catch all the action through my Facebook page and Twitter account, where I will be updating the pictures from the Fashion Week. Coming back to today's outfit post - Sequins were a big trend last season and will continue to be IN the coming season too. I have fallen in love with the charm and elegance of sequins and have already presented my sequin skirt in the last Outfit Post HERE. I teamed up this trendy pair of sequin pants by Romwe.com with a solid lemon top. 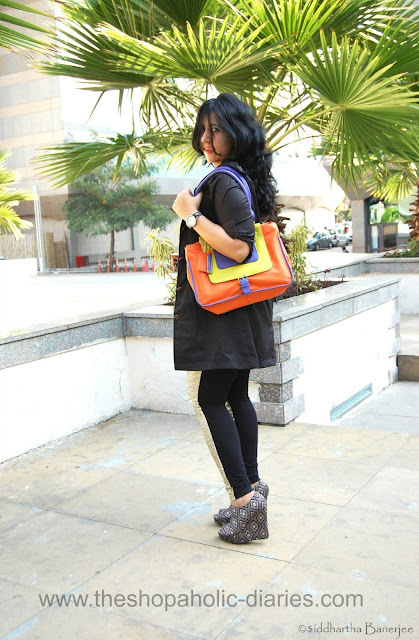 The grey jacket toned down the outfit which I completed with a pair of Aztec print wedges and customized bag by Toteteca Bagworks. Did you like my outfit? Do share your views in the comments below about the same. 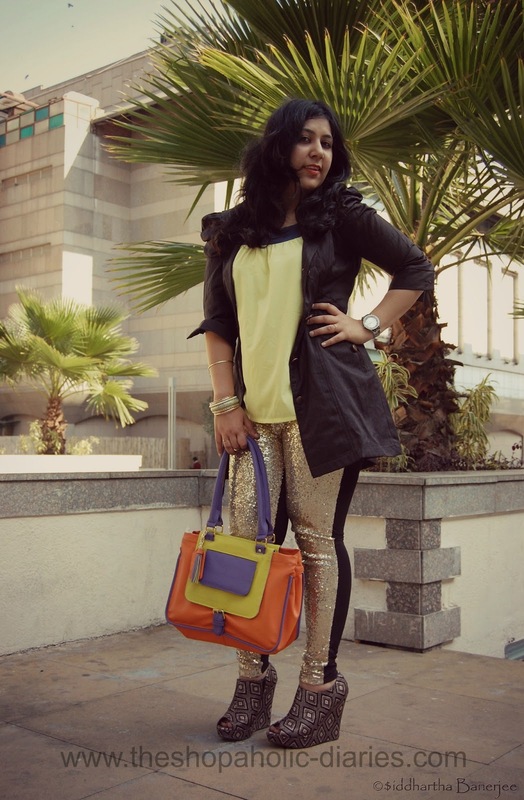 And if you also own a sequined item, I would love to know how you wear/pair it with! Thanks a lot for stopping by my blog and reading this post. Review / Haul with Stevemadden.in! OOTD - Peplum Shirt Dress and Leather Pants! 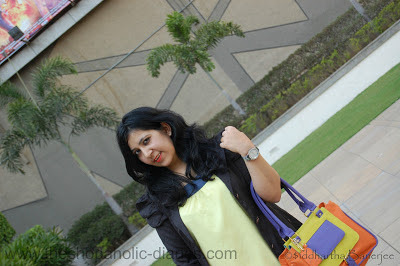 © The Shopaholic Diaries - Indian Fashion, Shopping and Lifestyle Blog !. Design by FCD.